2010 has already been dubbed the “year of the tablet.” And while the tablet PC concept is not new, the hype surrounding Apple’s imminent iSlate–and the craze for touchscreens–has put the slab-form computer front and center. 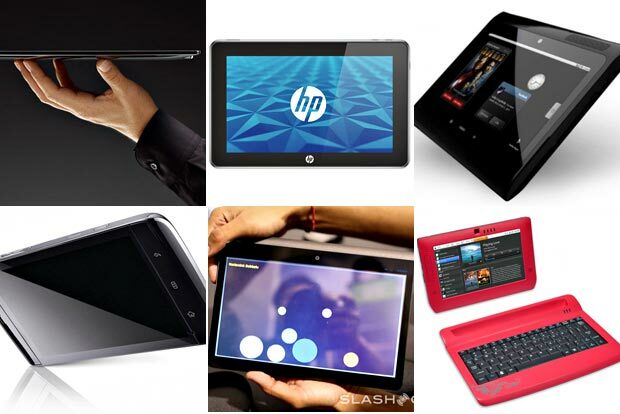 Every major PC maker is releasing a tablet now. Think of it as the next phase of the mobile computing evolution: in the past few years we’ve gone from smartphone (again spearheaded by Apple) to netbook to e-reader. And now the tablet, a mobile Internet device that serves as a multimedia player, e-reader, and Web browser all in one. you’re not alone. This guide will help you sort the tablets from the slabs. Indian company Notion Ink has paired with chip-maker Nvidia and adjustable LCD screen designer Pixel Qi to create a tablet PC that has enough battery life to play 16 full hours of HD video. The Pixel Qi screen is the killer feature here–one of the main reasons for its huge battery life–and it really has to be seen to be believed. (Notion Ink is the first tablet-maker to adopt Pixel Qi’s new LCD screen technology, but they won’t be the last.) The tablet, still in prototype stage, runs on Google’s Android operating system, and is being marketed primarily as a portable Web-browsing/entertainment device. 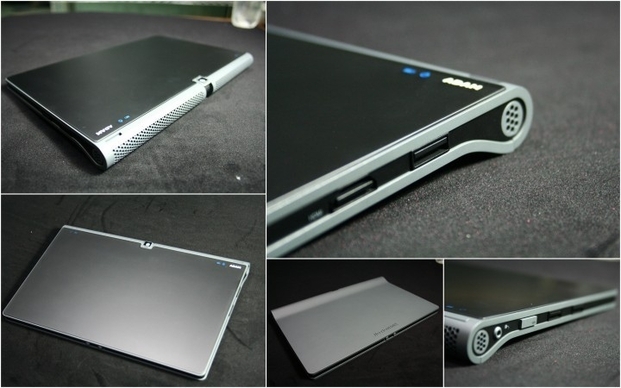 Specs: 10.1-inch screen (1020 x 640); Weight: 1.7 lbs; battery life: potentially up to 160 hours of use; 3G-capable. in the computing category at this year’s CES, and it’s easy to see why. demo below, the overall design is quite impressive. Specs: 11.6-inch screen (1366 x 768); Weight: 3.8 lbs as laptop; 1.6 lbs as tablet; battery life in tablet mode: 5 hours; Wi-fi and 3G-capable. Freescale makes ARM processors like Nvidia does (as opposed to the Intel chips in most netbooks). And like the tablets built around Nvidia’s Tegra processor, the Freescale tablet wins big in the battery life department (it’s good for a full 12 hours of Web browsing and HD video-watching). As the company rep. mentions in the video demo below, the company started with an e-reader device, then moved into the netbook space. The result? 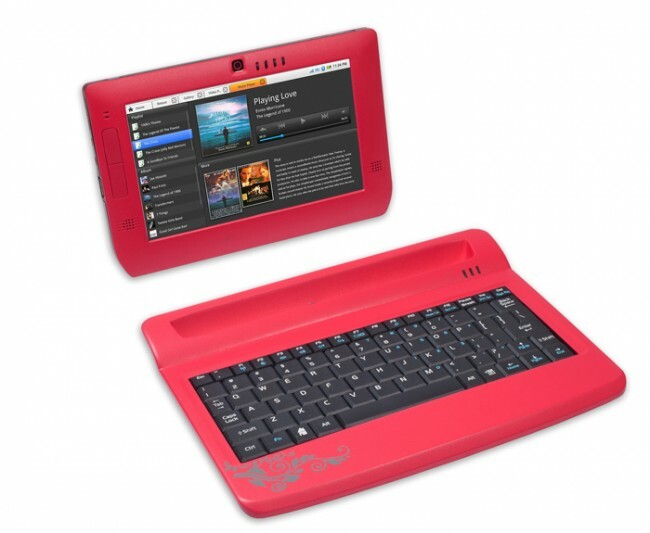 A tablet PC with optional keyboard accessory ideal for mobile Web browsing. And the projected price of about $200 is hard to beat, especially for their target demo, 14- to 25-year-olds. 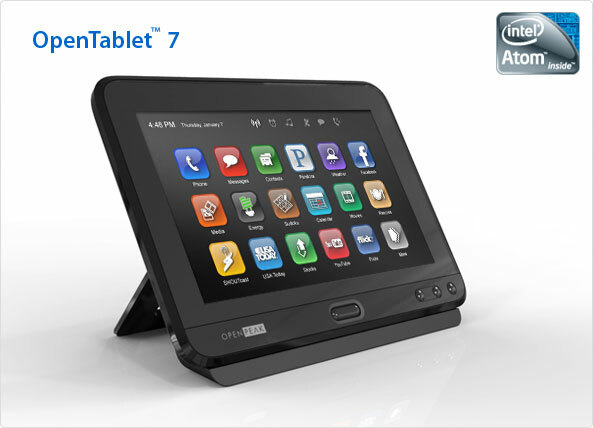 Specs: 7-inch screen (1024 x 600); Weight: .8 lbs; supports 3G; multi-touch screen; runs on Android and Linux. There are five new tablet PCs that use Nvidia’s Tegra 2 processor. Most are from small electronics companies you’ve probably never heard of: Notion Ink, ICD, Compal, MSI, and Foxconn. So far Notion Ink and ICD look to be the most promising. As shown in the video below, the ICD Vega/Ultra offers full HD video and premium gaming graphics. And with its ultra-portable 7-inch screen, it’s great for customers looking to upgrade their mobile entertainment systems. 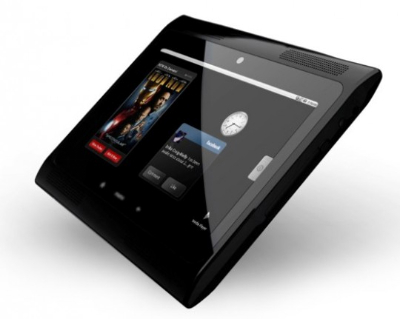 Specs: 7-inch screen (1020 x 600); Weight: Less than 1 lb; 3G-capable; multi-touch screen; runs on Android; contains mini-HDMI so users can connect to TVs. 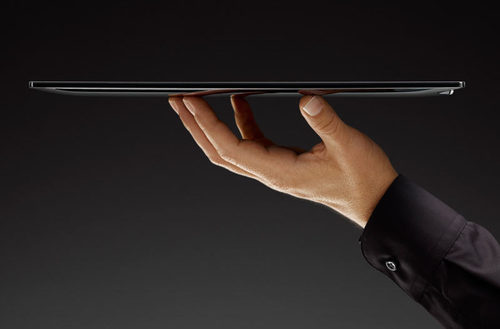 With its 5-inch screen, the Dell tablet is closer in size to a smartphone. Actually, it’s hard to say what makes this device a tablet rather than a phone, other than the fact that the company’s focused more on its widgets and ability to play full-lenth movies. Is it a tablet, a smartphone, or a “mobile Internet device”? Hard to say, but critics seem to be excited about the touch-keyboard. 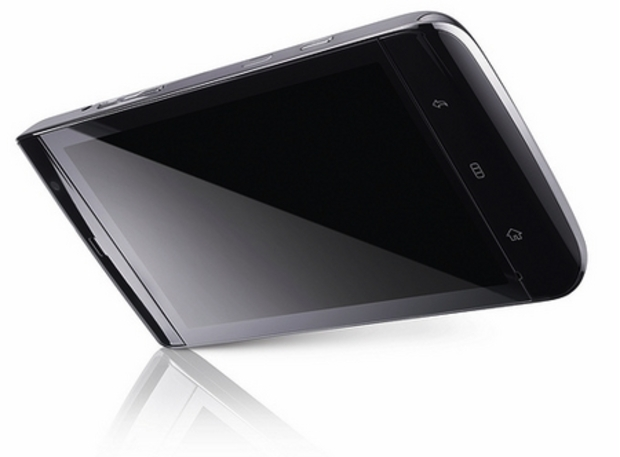 Specs: 5-inch screen; Weight: less than 1 lb; supports 3G and Wi-Fi; multitouch screen. Availibility: Still in prototype stage, but will probably be sold as part of a package with a mobile carrier, such as AT&T. The tech community was largely underwhelmed by Steve Ballmer’s demonstration of the new HP Slate tablet at CES last week. After the press event, PC World declared the bar had just been lowered for the similarly-named Apple tablet set to come out later this month. 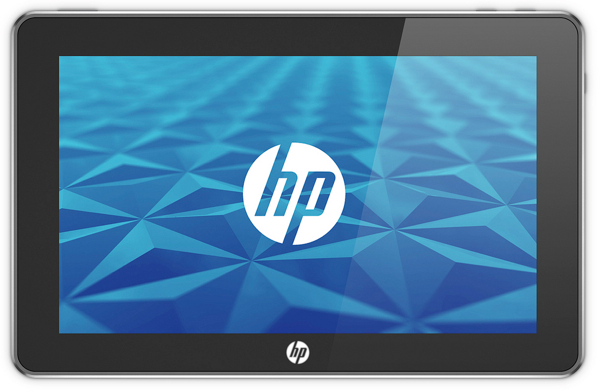 HP’s multi-touch device just isn’t innovative in the way Plastic Logic’s and Lenovo’s tablets are. As a result, PC fans were left to imagine the dual-screen Courier tablet they had hoped would be announced. No specs available at this time, but the Slate is expected to cost a little less than $500 and hit stores later this spring. Remember the CrunchPad? Well, that’s what this device was supposed to be before the agreement between Tech Crunch’s Mike Arrington and India-based Fusion Garage broke down. The device was originally supposed to cost about $200, so some consider the now $500 price tag a major failure, especially considering the intense competition they’re facing from companies like Notion Ink. 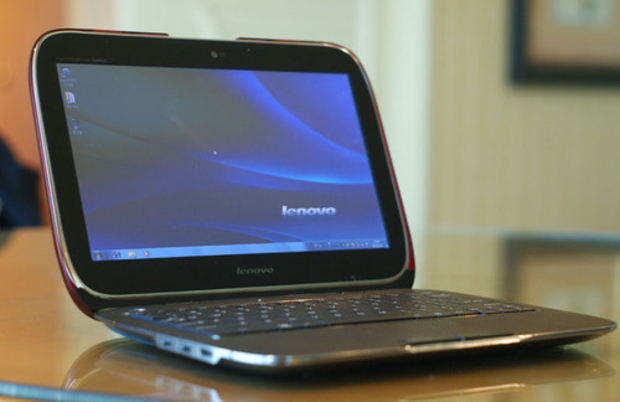 Specs: 12.1-inch screen; 2.4 lbs; Wi-Fi; capacitive touch screen. Yet another Android tablet/color e-reader, with Wi-Fi and 3G capabilities. There was a lot of buzz before CES, but not much during the conference or after. 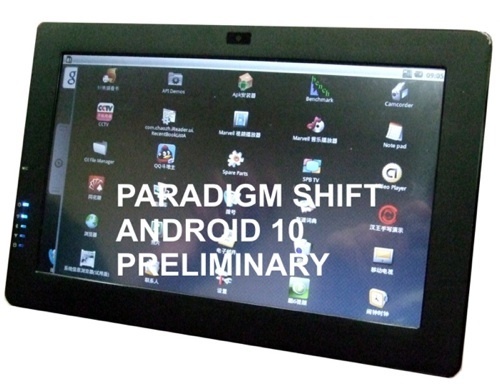 Priced at about $370, Paradigm Shift’s tablet is expected to come out early this summer.